Siewert Cabinet is a Minneapolis based commercial cabinet and fixture manufacturer known for it’s innovation in design. 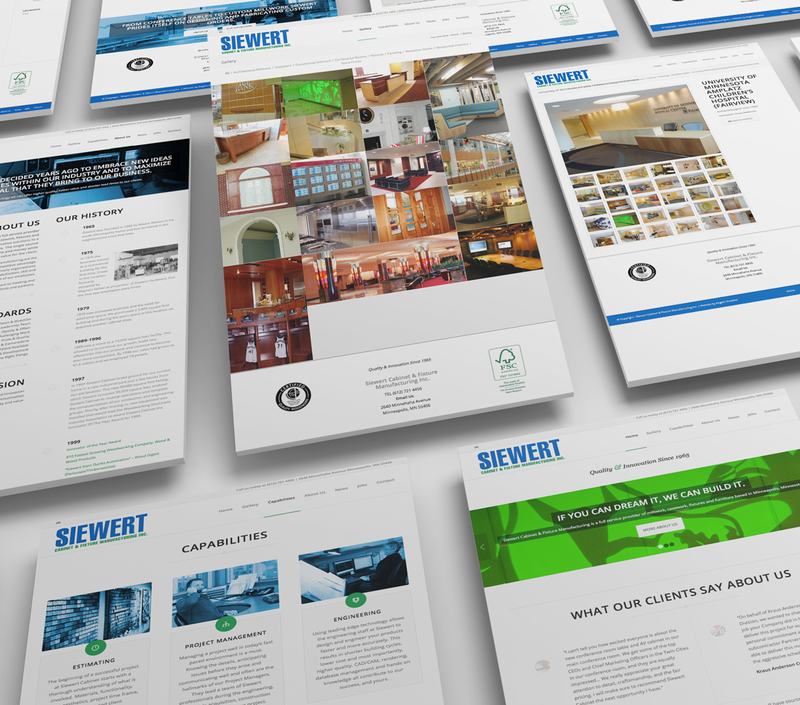 Angie consulted with Siewert Cabinet on rebranding and redesigning their existing website. The new Siewert Cabinet site includes an extensive portfolio highlighting Siewert’s work with TCF Bank, The University of Minnesota, Fairview, Tria, and the Minnesota Timberwolves. Angie has been very helpful in the design and thought processes of the websites that we have had her design and manage, more so than any other company or individual that we have worked with in the past (don’t tell her, but I don’t think she charges enough for all of the talent she has).